I happily stumbled upon these prints this week! Both are from Askey Illustrations. I adore silhouettes! 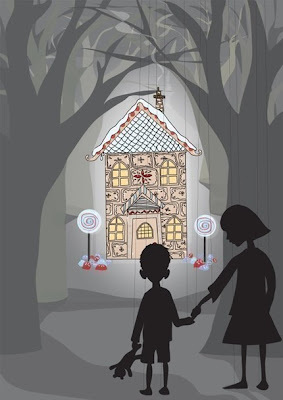 I like the one with the candy house...very Hansel & Gretel :) Sweet! What a lovely work,really good! Lovely silohuettes. Have a nice day! These are really cool. I always try to have a little whimsy in my life. I have not popped over here in ahile and thought I just want to look over at your wonderful blog!!!! I too love Silhouettes, and I would love one of these.They are lovely!!!! Have a fun wet weekend in southern, Ca, it is also wet and cool in warm usually sunny AZ. I am loving that take on a silhouette. What fun pictures! Thanks for becoming a follower of our blog, hope you find some things you like! 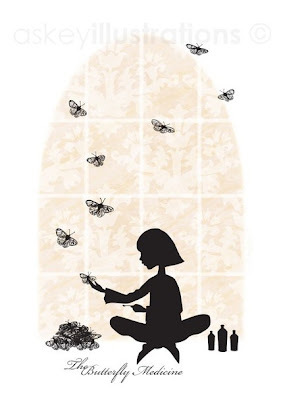 I also adore silhouettes, I want to make ones of my children.